Sofitel Fiji Resort & Spa offers luxury at its best, guaranteeing a memorable Fiji holiday. 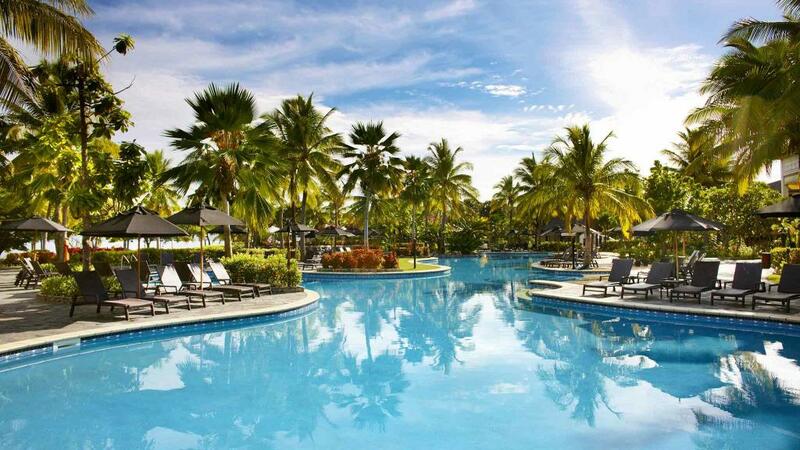 This Fiji Resort is ideally located on Denarau Island and features one of the South Pacific's largest lagoon style swimming pools and is located right next to the Denarau Golf Club and Racquet Club. Adults can enjoy the facilities at the Waitui Beach Club, and the kids are well catered for at the exciting Turtle Club.